Note: In case the firmware version of the unit is already 1.02, there is no need to apply this firmware update program. Improvement of the cases where the following phenomenon may occur when dividing the LPCM format files recorded in SDXC card by this product. 1. Right-click on the file “PCM-D100_V102.zip” and click Extract All. 2. 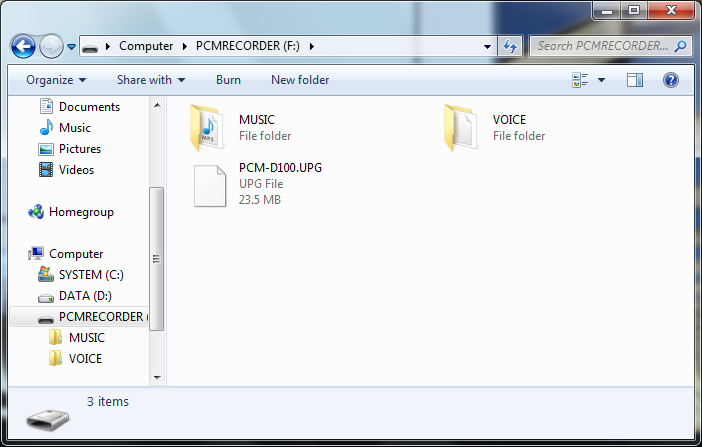 The file “PCM-D100_V102.zip” is open and is displayed. Confirm that the below file is in it. This file is the firmware update program. Please confirm the firmware version when the update program is installed successfully. The update program installation is succeeded when 1.02 is shown in the display window.